Ozzfest official T-shirt has a quad on the front! WINCHESTER BAY -- Days before thousands of all-terrain vehicle enthusiasts descend on Winchester Bay and Reedsport for the five-day Dune Fest at the end of the month, Douglas County officials plan to complete construction of a new ATV staging area. The local forest closures leave us with two options: staying home to grumble or exploring new areas for fishing, hiking, hunting and the riding of bikes, horses and ATVs. If you choose the latter, let me recommend the Chama Basin just north of Chama as a beautiful spot for all these activities. 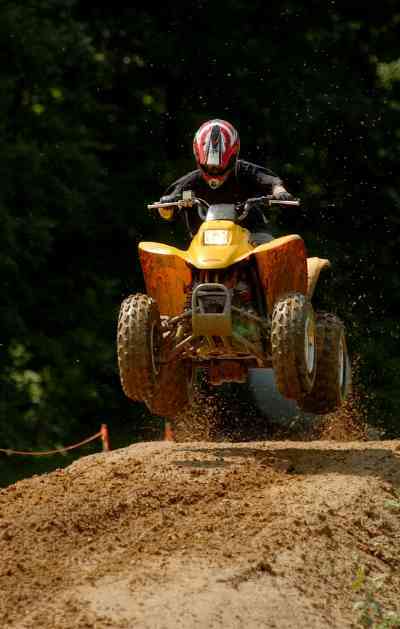 Action is heating up for a ATV drag race at the edge of the parking lot at South Jetty, a mile southwest of Florence. Engines of a half-dozen ATV all-terrain vehicles are screaming and ready to go. The Off Highway Vehicle (OHV) plan being developed for Hubbard County is calling for a 4X4 mudder truck route in the Paul Bunyan Forest - in addition to all-terrain vehicle (ATV) use - and elimination of the non-motorized designation for the Gulch Lake Management Area. 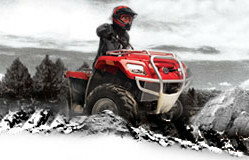 ATV park provides people with a safe, family-friendly environment. Corinthian Colleges, a California-based chain of vocational schools, announced Friday it intends to buy the American Motorcycle Institute for $11 million.